OpenTable has hundreds of Omaha restaurant reviews. The Reader has great restaurant reviews and Omaha restaurant info. The Go Dining Section of the Omaha World Herald has some great restaurant reviews, articles and links. All kinds of great restaurant info. 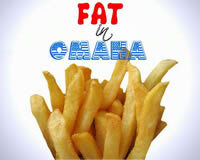 Fat In Omaha is a clever restaurant blog I like to read. It's funny and well-written, with lots of pictures. She grew up on the East Coast and is therefore an absolute authority on most things, including all types of pizza. Captain Napkin is a blogger on Urbanspoon with an extensive collection of reviews and pictures of the food and restaurants in Omaha. 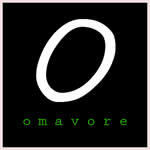 Omavore is a blog by Sarah Baker Hansen, The Omaha World-Herald food writer. She has several really good restaurants reviews and other interesting posts with lots of pictures. Sarah is, "On a never-ending quest for deliciousness." She has a nice blog where she writes in-depth reviews with pictures. Their mission is to ensure that nobody has a bad meal ever again. 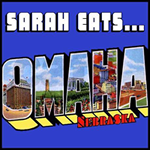 Yelp has tons of reviews and Omaha restaurant pictures. Hit That Dive is a fun blog that reviews many Omaha bars and bar food. "I risk life, limb (and liver) to review all the dives and gin joints you always wanted to stop at but were too afraid to belly up to the bar." Food and Spirits has a wonderful new website full of Omaha restaurants reviews.